Joining Campbell-Hill in September 2011 as a Vice President, Mr. Ford specializes in economic research and analysis. Through consulting work, Mr. Ford has prepared domestic and international air service proposals for numerous medium and large U.S. airport clients. He has developed short- and long-term traffic forecasts for master plans, bond Issuance and airport cost, revenue, and operational benchmarking projects. In addition, Mr. Ford has produced studies of passenger diversion trends between airports (airport leakage), analyzed impacts of airline merger scenarios, and provided financial strengths and competitive assessments to airports, government entities, and investors. 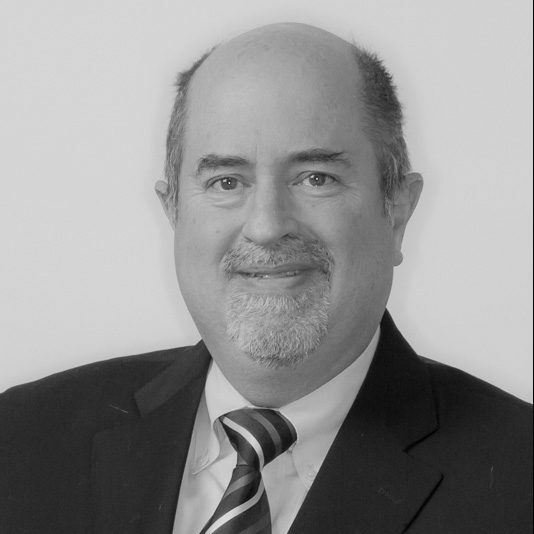 He has nearly thirty-five years of wide-ranging airline industry and aviation consulting experience involving air service development, pricing, planning, and financial analysis. Before joining Campbell-Hill, Mr. Ford was a Senior Manager at Oliver Wyman and a Vice President at Eclat Consulting. Prior to consulting, he held management positions at United, Northwest, and US Airways, where he last served as Director of Pricing and Pricing Development (Revenue Analysis). Mr. Ford’s airline expertise is in Revenue Management, particularly from an analytical perspective. At US Airways, he was responsible for all domestic pricing activity, domestic and international fare rule development, and strategic and tactical revenue analysis. He also has led an inter-airline team that reviewed federal ticket alternatives. Mr. Ford has served in a leadership role for a market feasibility analysis tasked with the design and launch of a new airline. Mr. Ford’s additional airline expertise includes constructing tracking models of diversion trends between airports (airport leakage), analyzing and executing pricing experiments to stimulate traffic and revenue growth, and examining all corporate incentive programs. Domestic and international air service proposals for medium and large U.S. airport clients. Traffic forecasts for Master Plans, Bond Issuance and airport cost, revenue, and operational benchmarking projects. Studies of domestic and international passenger diversion to other airports. Assessments of airline financial strengths and competitiveness for airports, government entities, and investors. Reviews of airline merger scenarios on air service and airline revenues for airports and investors.